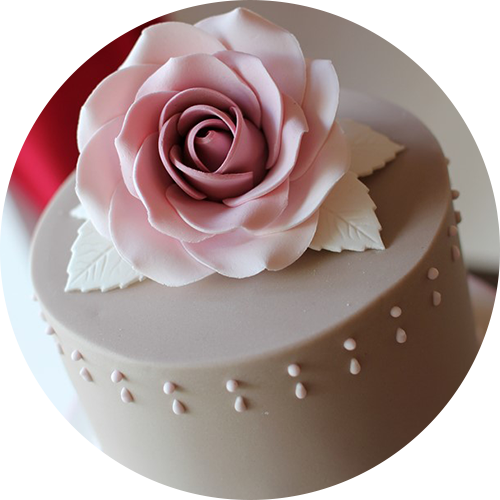 Classic and original fondant cake for a sculptural look. From the most simple to the most elaborate designs. Real Flowers all set up my myself on the day for a natural and fresh look. 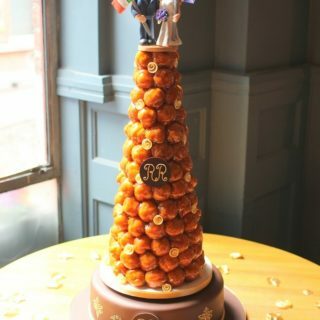 Traditional French Wedding cakes made of profiteroles filled with cream and lightly coated with crispy caramel. 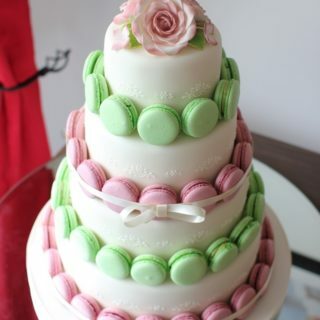 Want to see cake prices ? 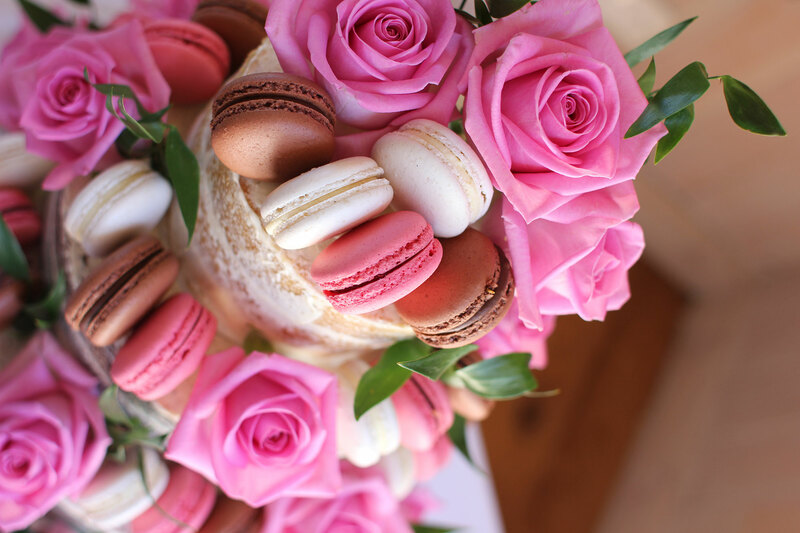 Julien has been incorporating his French flair into his wedding cakes in Ireland since 2004. 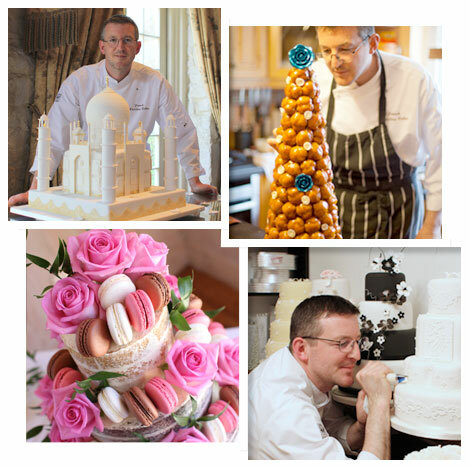 Julien’s work has been featured in numerous wedding cake magazines and he has won awards for his creations all across Ireland. 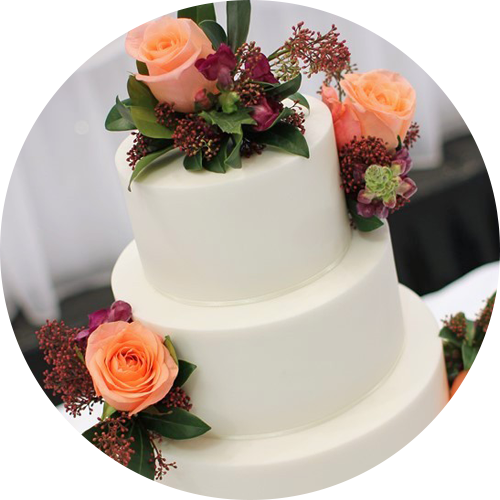 For more information on the Chef you want to entrust with your wedding cake, click below. 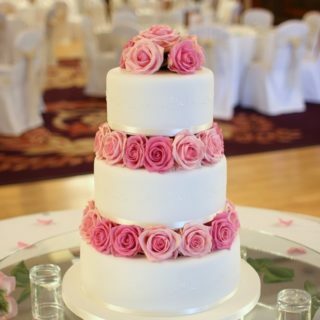 Julien from the moment we met i knew our wedding cake would be amazing and you delivered and displayed it with 100% perfection. 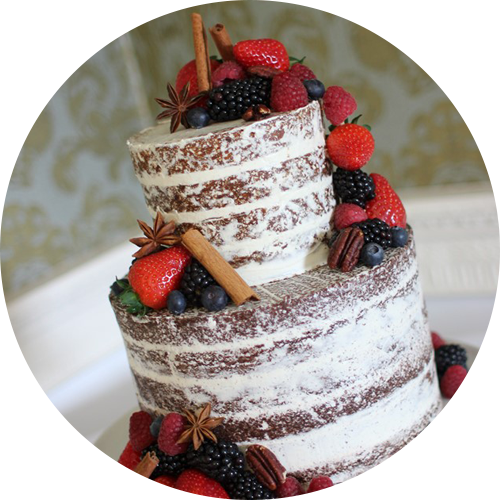 A week later and both the carrot and red velvet cake layers are still so fresh. 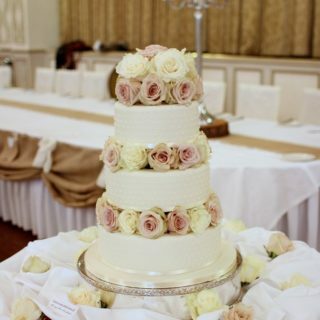 The fresh flower arrangement of the quick sand and ivory roses looked stunning. Also the marcons at the reception went down a treat with our guests. 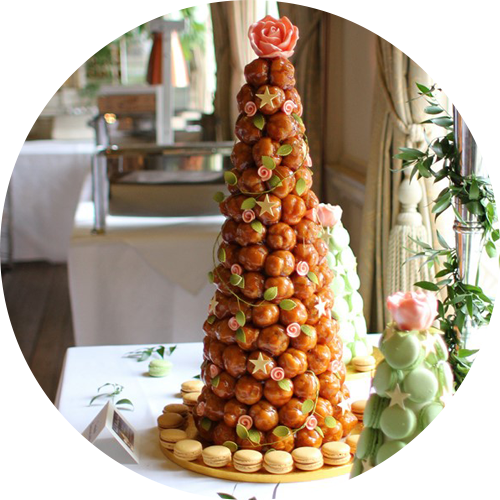 t is easy to see Julien’s cakes look amazing but the best compliment I can pay him is how good his cakes taste which is often not the case with wedding cakes. Julien made a chocolate biscuit cake with praline topped with an amazing croquebouche flavoured with vanilla, pistachio and hazelnut praline. 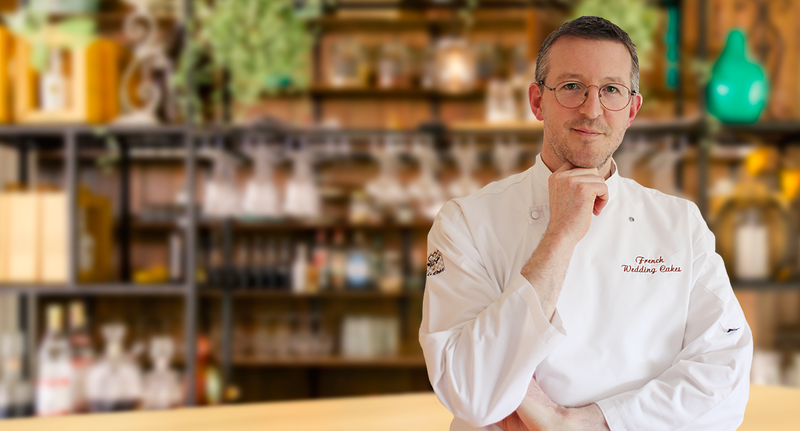 His croquebouche tasted as good as any patisserie I ever had and that includes Philippe Conticini. 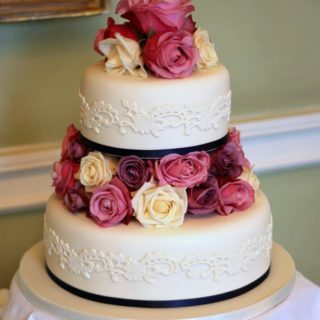 If the want an amazing wedding cake which tastes fantastic with no stress or hassle, look nowhere else than Julien! 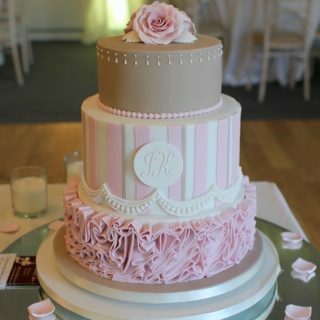 Hi Julien, Both myself and Caroline would just like to thank you for our amazing cake it was better than we could have imagined, also we would like to say a huge thank you for being such a pleasure to deal with from our first contact with we felt bad having to cut the cake it looked so well but it was worth it to taste it.